Ashley with Vintage Gold Design made a fun Thanksgiving bingo to share with you today. This Thanksgiving bingo comes with 10 different cards and calling cards. This would be a fun activity to keep the little kids busy while food cooks or tables are being set. It is available to you completely free! All you need to do is click the link below and download and print from home. You could even laminate the cards to make them last longer so you could use them year after year. Ashley is the talented illustrator at Vintage Gold Design. She and her business partner Stephanie, are putting together a series of LDS adult coloring books inspired by religious symbolism and scripture stories. She helped design our Halloween bingo this year as well, but I’m really looking forward to the coloring books that will be available soon. You can visit Vintage Gold Design on Instagram at vintage.gold.design for a sneak peak. 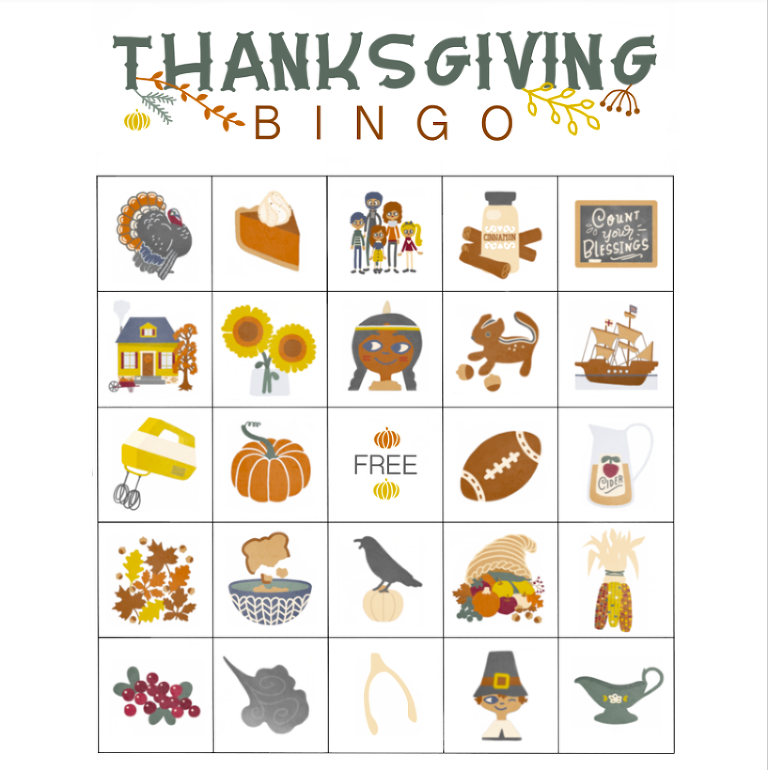 Click here to download the free Thanksgiving bingo cards.